Welcome to February!!!! And what a fabulous month it is.....sooooooo much happening in blogland here and there! Not the least of which is my BIRTHDAY......oh, my goodness....it is a BIG one. I am turning 60! How in the world did that happen?????? Last year for my birthday, I hostessed a "virtual" party here on my blog for myself and had so much fun that I decided to do something special on my blog for this BIG BD. Eeek! I can never keep track of how old I am. I always have to ask my kids....they can remember. So a few weeks ago I was thinking about my upcoming birthday and realized to my horror and shock......I AM TURNING SIXTY!!!!! OH, NOOOOOOOOO!!!!! Well, I knew I had to do something extra special for my blog celebration. Haha..this WAS going to be my BD badge! and even came up with a crazy BD blog badge. I just had to share this one with you because I am sure my face must have looked like that when I discovered I was turning sixty!!! Ha. 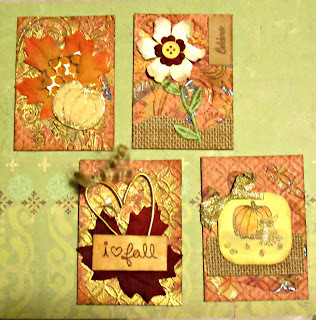 But then I came up with something even more fun: ATCs!!! Yes....Artist Trading Cards.....I LOVE ATCs!!!! These are so pretty and arty!! Thank you, Christi!!! 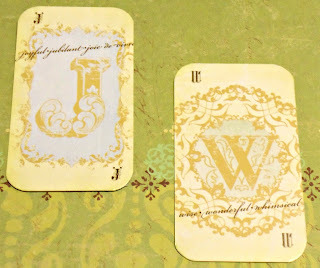 My crafty friend Christi Conley recently sent me some fun Artist Trading Cards with my initials on them. So elegant!!! Totally love this mixed media creation!! Thank you, Gail!! I realized that I only had ever before received one ATC....from my crafty pal, Gail (Ionabunny) back in 2015. It was lonely all by itself in the pocket page where I kept it. With the two from Christi, I had three. 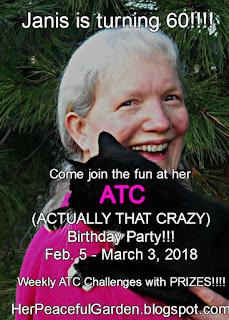 So I came up with the idea of having an ATC Birthday Party for myself with Artist Trading Card challenges each week during February. And.......if any crafters wish to actually snail mail me one of their entries I will gratefully and excitedly add their creation to my little collection. SOME, TOO!!! 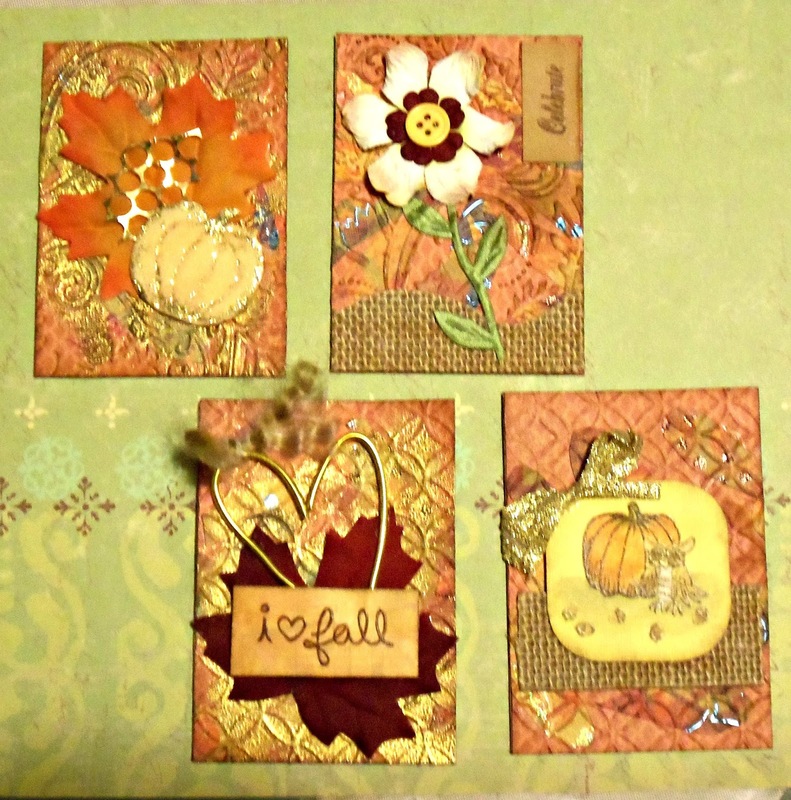 I have only ever made one set of 4 ATCs ever!!! Eeeeek.....not sure what I am getting myself into, but I am ACTUALLY THAT CRAZY to be doing this. Ha. Trust me...this is really getting me out of my comfort zone!! 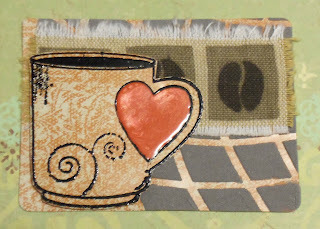 Then....on each Monday of February, beginning Feb. 5, I will post an ATC challenge with a special "A-T-C" theme. Each of the challenges will be open for the duration of the celebration ending March 3, 2018....so that means you will have 4 weeks to play for the first one....3 weeks to play for the second one, etc. All challenges and this Badge giveaway will close March 3, 2018. I have some party gifts and will randomly draw one winner from the participants of each challenge and the Badge Giveaway.....5 winners total. Please help publicize my ATC (Actually THAT Crazy) Birthday celebration by posting my badge and leaving me a comment below with a link to where it is posted by March 3, 2018. Thank you so much for already helping my 60th Birthday be the best evvv-ahhhhhhhhhh!!! Love you all!!!! How exciting, Janis! Congratulations on your upcoming 60th! That is a big one and well worth celebrating! 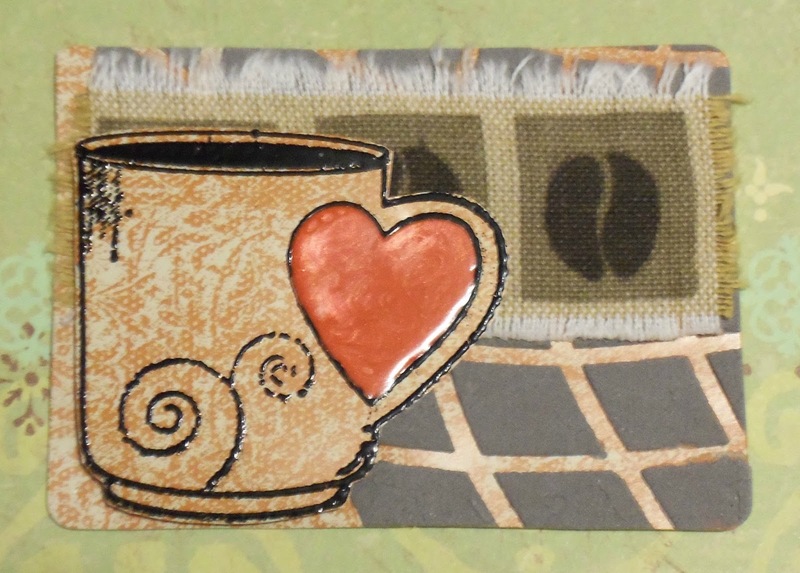 Your party sounds like fun - I love to make ATCs! I will plan to join the festivities! I just added your lovely badge on my sidebar! I look forward to seeing all of the details on Monday! Hooray for you Janis, on your big 6-0!! Take it from me, entering your 60's couldn't be better, because you have even more of an excuse to forget all those things you'd rather not remember in the first place! Adding your Badge to my FB page and getting my ATC blanks dusted off and ready. I've been an ATC-making fiend in years past and will be honored to send you one, or two, or three to add to your collection. Waiting for the details and can't wait! Happy 60th birthday Janis! Have a great one! Congratulations on your upcoming 60th! That is a big one and well worth celebrating! oh I wish I remembred before that you birthday is in february! Happy 60th birthday, Janis! Looking forward to the ATC challenges! 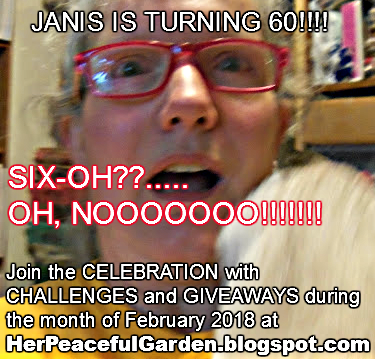 Happy Big 6-0 Oh No Birthday, Janis! You are a riot! 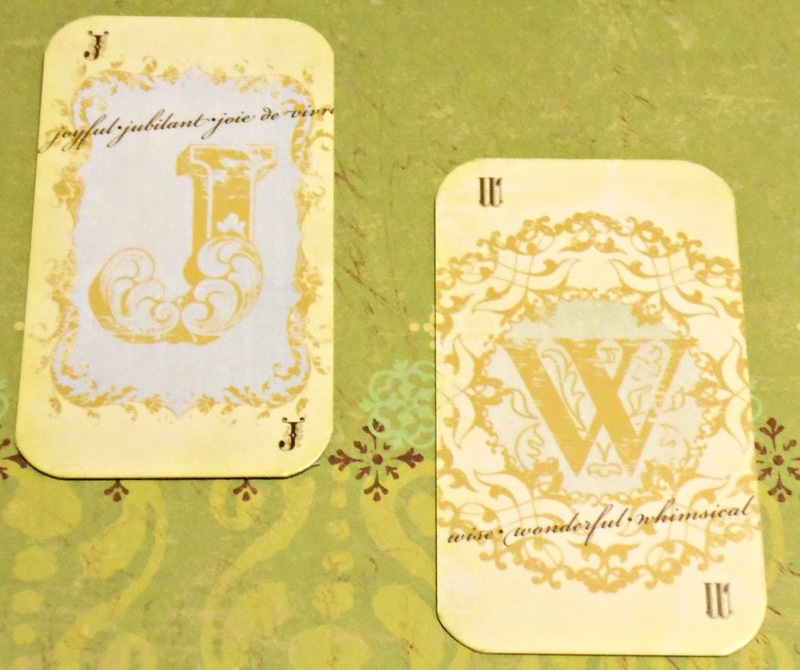 I can't wait to have a go at some ATC's for you! I have never made one before! I think you would be the PERFECT person to give us a little tutorial on what they are and what makes them so fabulous! Celebrate all month long, and I'll let you know when I get your badge up! Happy Birthday! Happy birthday month to you Janis. I'm all for celebrating all month long because, why not?!! I shared your badge and challenge on Facebook and tagged you. As for the ATC's, I'll see what I can make but no promises here, lol. My mom is coming for a couple of days and bringing ATC blanks so I have no excuse not to try (or so she says). Looking forward to seeing what everyone comes up with. Happy Birthday to you this month. What a grand crafty style way to celebrate your 60th birthday?! I really look forward to what lies in store for us all. I posted your lovely badge on my FB wall. I'll be putting your badge up on my sidebar very soon! Have a wonderful birthday month! I still have a little time left. I don't have a blog but I pinned you to my pinterest board. I hope you are having a wonderful birthday month! Hope to get my ACTs posted shortly.